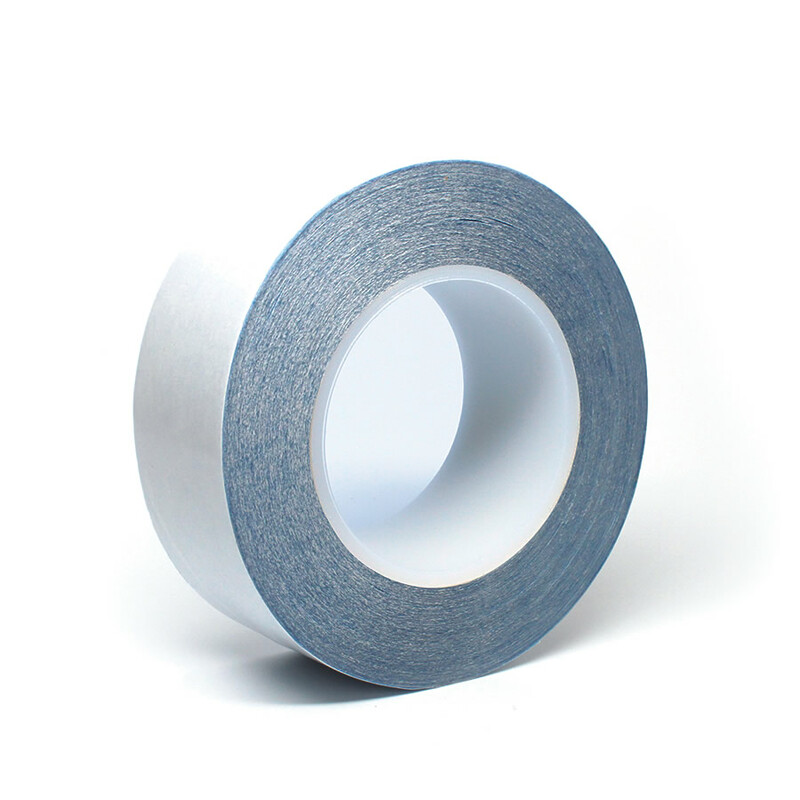 A tape designed for excellent bonding to polyethylene films, as well as other low energy films and surfaces. It is a blue double-sided, high speed flying splice tape, which is designed with excellent wet-out properties to materials such as polyethylene, and polypropylene. This tape will provide increased production efficiency and it will in turn reduce machine downtime. This tape is also available in black. Use this tape with loosely woven fabrics and low energy films.